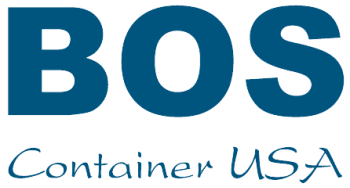 BOS containers are available in six standard sizes: 3x7ft – 20x7ft (1x2 meter up to 6x2 meter). 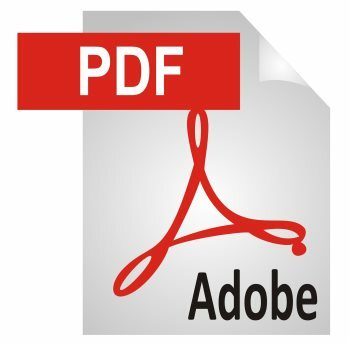 Unit lengths differ from 3ft (43.3", 1100mm) up to 20ft (240.1", 6100mm) - externally. Total weight capacity of the units are 3 metric tons, or 6,600 lbs. which includes the container’s own weight. For example, 10ft container is roughly 800 lbs. and can be filled with further 5,800 lbs. and still be lifted by crane. Forklifting the units is approved for up to 2 metric tons, or 4,400lbs. 4-way forklift pocket system is available for 10x7 and 13x7 models. Snow load capacity is 43 lbs./sq. ft. (210 kg/sq. m). Floor is made of 3/4" (18mm) OSB 3 wood, which has been treated for moisture and insects. Wind load is approved for 100mph (or 160 km/h). The units must be anchored to the ground. Material is 20 gauge, or 0.8mm galvanized steel. Steel is made of recycled material. Metal on the floor section is 14 gauge, 2mm thick. Flat packed units can be stacked seven high for transportation, and 10 high for storing. Assembled, full units can be stacked three units high outdoor, and four units high indoor. The load inside the units must be evenly distributed. Our containers have no welding. Instead the connection points are made with BTM clinching (https://youtu.be/Goi_PcCR2JU). BTM clinching technique ensures that galvanized surface on the steel does not get damaged. This warrants for a 10 year rust free guarantee on connection points. Every container’s door has a cylinder lock and it comes with three keys. Additional security is provided by installing a security tool bar, or a new security lock. Detachable panels can be carried to job sites even through difficult places. Assembled on site, even on tight space. Easy to repair: Detachable panels can be replaced if damaged.